I wanted to use my new muffin forms I got a while ago. So I decided to bake blueberry muffins. 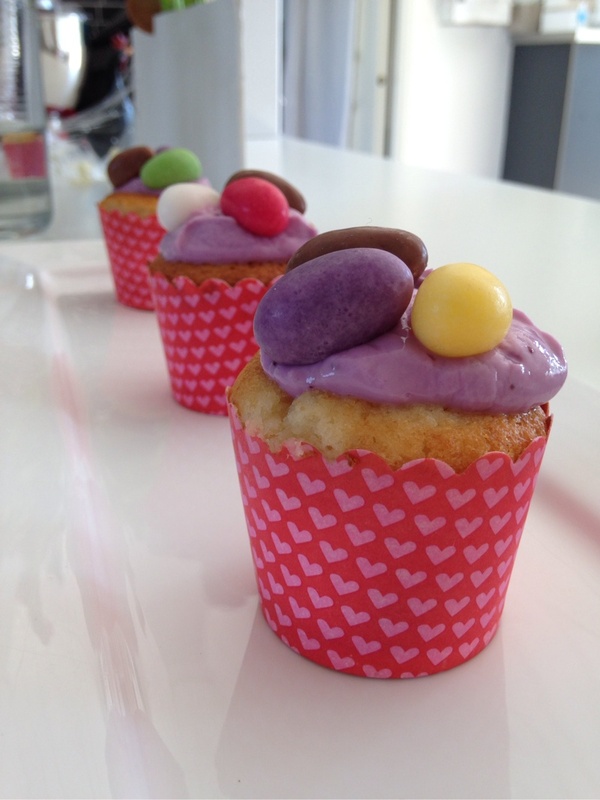 I did my own little twist and made some vanilla cream that I filled the muffins with. 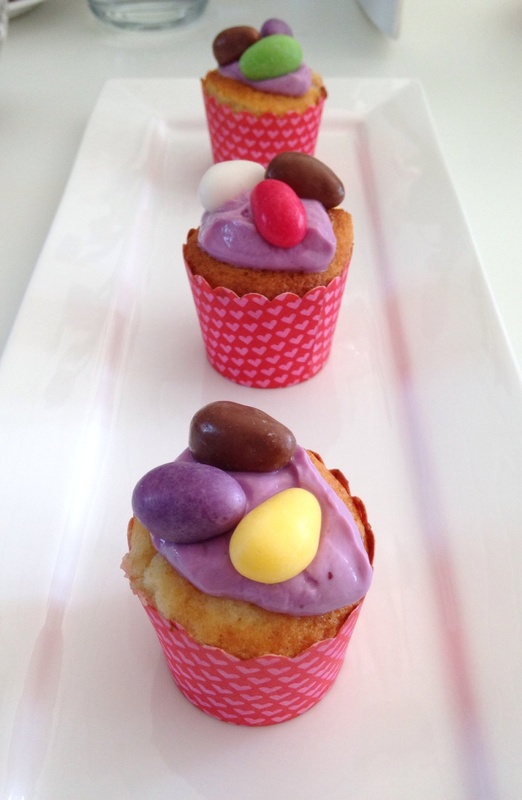 And because it's Easter I made it into a Easter cupcake. They where DELICIOUS!